Hit records, world tours and international acclaim came as lead guitarist inGillan, ex Deep Purple vocalist Ian Gillan's solo project. Bernie stepped in for Ozzy Osbourne in the aftermath of guitar legend Randy Rhoads' tragic death before going on to front Electric Gypsies and Tormé. Teaming up with Twisted Sister's Dee Snider and Iron Maiden's drummer Clive Burr he formed Desperado and later reunited with ex-Gillan colleague, John McCoy and drummer Robin Guy in Guy McCoy Tormé (GMT). More recently, Bernie Tormé has released three critically-acclaimed solo albums,'Flowers & Dirt' (2014),'Blackheart' (2015) & the triple album ‘Dublin Cowboy’ (2017). All were crowdfunded, connecting Bernie directly with his fans. It has been said of Irish guitarist Bernie Tormé that he plays his Stratocaster through a Marshall as though he knew them in a previous life. 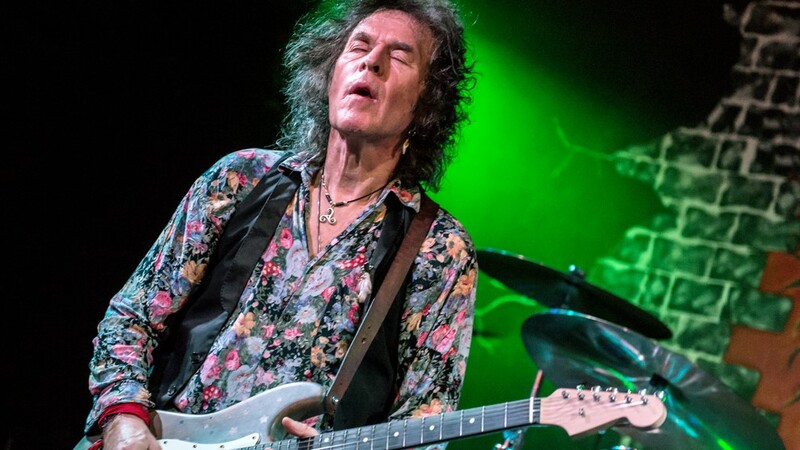 Dublin-born Bernie learned his trade from local heroes such as Rory Gallagher, Gary Moore and Eric Bell before moving to London in 74, where he initially played with heavy pub rockers Scrapyard, and then formed the Bernie Tormé Band in 76. The BTB toured with Bob Geldof's Boomtown Rats and Billy Idol's Generation X among many others. In early 79 Bernie joined ex Deep Purple singer Ian Gillan's band Gillan, and was crucial to the band's success as guitar hero foil to Ian's soaring vocals. While a member of Gillan he wrote and played on four top ten albums and many hit singles, including Gillan's biggest selling singles, 'New Orleans' and 'Trouble'. After his stint with Gillan, Bernie joined Ozzy Osbourne on the Diary Of A Madman tour in the US, temporarily standing in for the legendary guitarist Randy Rhoads who had been tragically killed in an air crash just days beforehand. Madison Square Garden was among the gigs that Bernie played with Ozzy: A young Zakk Wylde who was present in the audience has been quoted in interviews as saying 'Bernie rocked'. Bernie's ﬁrst solo album 'Turn Out The Lights' was released in the UK, Europe and Japan in 1982 shortly after his return from Ozzy's US tour. He continued playing gigs in the UK and Europe through the remainder of 82 and 83, when his second solo album 'Electric Gypsies' was released, the album's title being drawn from the name of his three-piece touring band. In the mid 80's Bernie worked with ex-Girl and LA Guns front man Phil Lewis in Tormé. The band released four albums, including the cult classic 'Back to Babylon' which, like the 'Electric Gypsies' album, made waves in Japan. Following Phil Lewis's departure, Bernie teamed up with Twisted Sister's Dee Snider and Iron Maiden's drummer Clive Burr to form Desperado, writing with Snider and recording the album 'Ace'. Bernie then recorded three albums with Guy McCoy Torme (GMT) featuring bassist man mountain John McCoy (also ex Gillan), and drummer Robin Guy. Bernie. During this period Bernie also worked with German band 'Silver', playing lead guitar on three albums. In 2013 Bernie started playing solo gigs again returning, once more, to his favoured format of a three piece line-up. 2014 saw the release of the critically acclaimed 'Flowers & Dirt' double album and a UK tour, followed by the equally acclaimed 'Blackheart' (2015) & ’Dublin Cowboy’ in 2017, both accompanied by further touring & festivals. 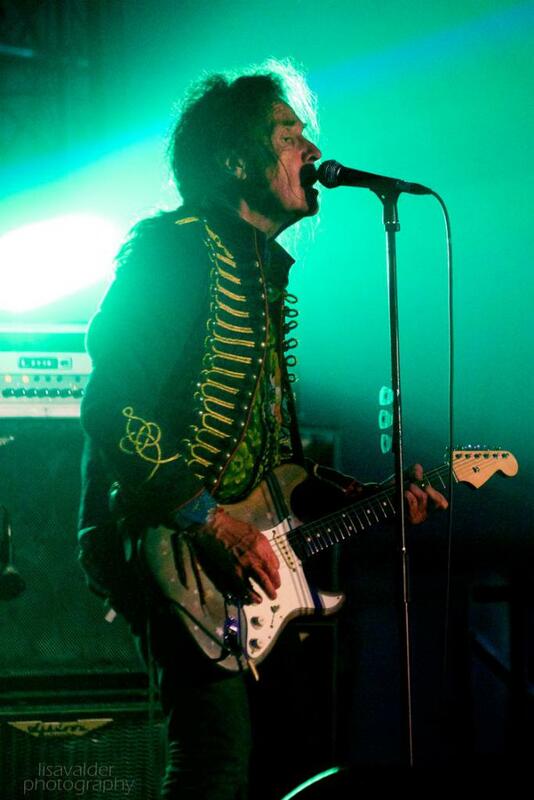 Bernie Torme has recorded over 24 albums in his career to date as a solo artist or band member.